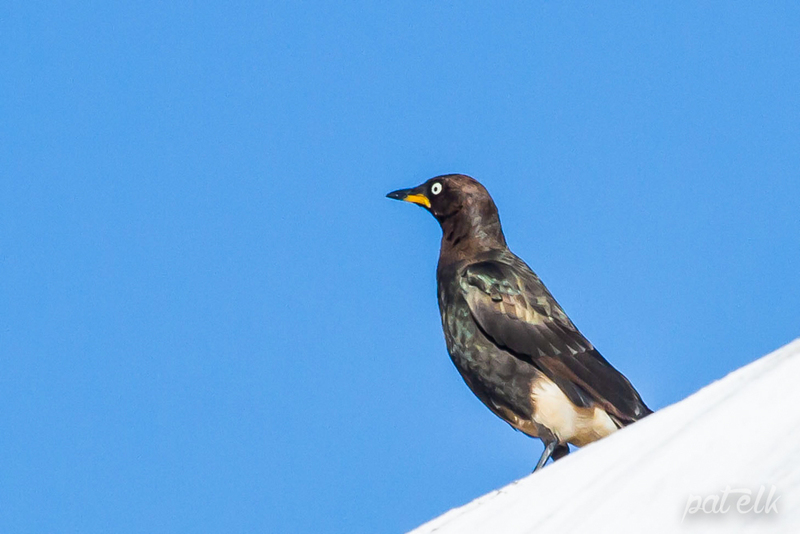 The Pied Starling (Afrikaans name, Witgatspreeu) is a crazy looking bird, with that white eye and yellow gape he looks as though he is angry all the time. We saw them in The West Coast National Park. 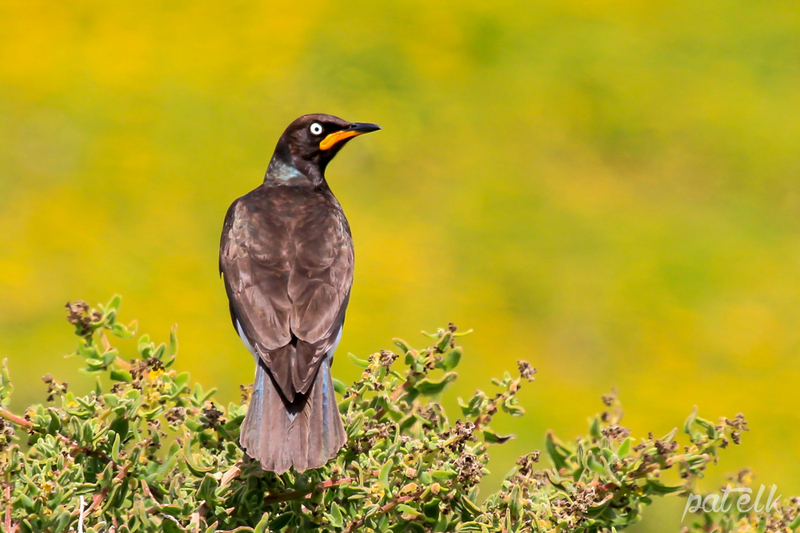 Pied Starlings are common residents in grasslands and Karoo scrub. Usually roosts and breeds in colonial holes in earth banks.